I’m not a professional economist and I don’t claim to be an expert on monetary policy. Many “establishment” politicians would use this as evidence that my opinion does not matter. I think it is extremely important for every American to understand how the Federal Reserve operates. In fact, I think it is middle class Americans that have the most insight into the effects that Federal Reserve intervention into our lives. I remember when I was young my grandmother amazed me with stories of gasoline that cost a dime and bottles of Coca Cola that only cost a nickel. She was reminiscing of the early 1900s and in my naive mind she might as well have been discussing 1776. I begrudgingly accepted the reasons I was given describing why these staples of our society cost so much more today. I was told that the prices had changed due to more people needing these products (demand rising). Although I was still skeptical, this answer satisfied me until college. It didn’t occur to me to factor in the impact that the value of a dollar has on pricing. I remember the moment I first became infatuated with monetary inflation. I was sitting in the back of a Finance class at Penn State University. The professor was rummaging through the New York Times looking for an interesting article to encourage dialogue. This was a standard occurrence for this class. The New York Time business section was this man’s bible. He came to an article on the rising prices of college tuition. In order to start the discussion, he proclaimed, “students today are paying $50,000 – $100,000 for undergraduate degrees, your kids will be paying at least $200,000 – $300,000 for their degrees!” He stressed that this was a reason why understanding finance and investing was so important. He screamed, “You have to outpace inflation with investments!” Most of the class agreed and participated in the conversation. I sat there in shock, searching for answers, trying to understand why the value of our money could be decreasing so drastically. From an early age we are taught in Public Schools that the Federal Reserve is an essential organization. That it is necessary to maintain confidence in the dollar by acting as the lender of last resort. We are NOT taught that under the Fed’s watch the dollar has lost 95% of its purchasing power. Money is a commodity. Like all commodities, when you increase the quantity supplied, it loses value. This is what causes all fiat money to lose purchasing power. Actually, the Bureau of Labor Statistics has a pretty neat inflation calculator on their website. The calculator uses the average Consumer Price Index for a given calendar year and goes back all the way to 1913, the year the Fed was founded. There is a twist to the calculation though. Over the years, government has changed the way they calculate inflation. You see, the old CPI was showing a higher number than government wanted. So in order to mask the real inflation, food and energy prices were removed from the basket used to calculate CPI. Isn’t that special? Our friends at the Federal Government didn’t want to increase your Grandmother’s Social Security payment, so they changed the calculation. How convenient! 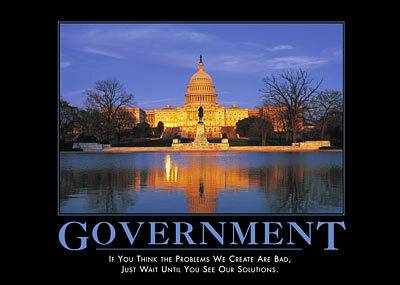 I wonder if the Fed and the Federal Government ever get tired of crapping on people. Over the past few years the Federal Reserve has increased their amount of market intervention to an unprecedented level. The combination of this increased intervention, the current economic depression, and a certain congressman from Texas pushing for Fed transparency have caused a storm of criticism around Fed policy. 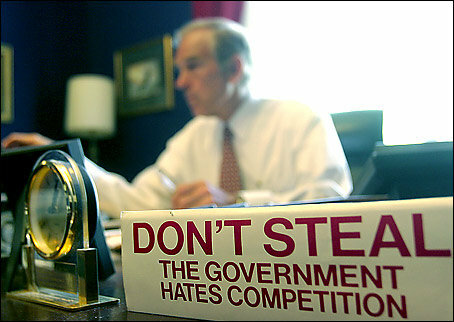 The aforementioned congressman, Dr. Ron Paul, along with a bombardment of support from the public were able to pass a version of his bill to audit the Fed . 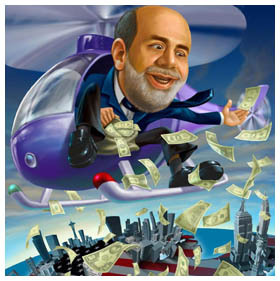 Hopefully, legislation for a full, reoccurring audit of the Federal Reserve will pass in the not too distant future. The first Fed audit revealed trillions of dollars of secret bailouts to domestic and foreign banks. The Federal Reserve is the most powerful organization in the world. They control the value of the dollar in the United States and as a result are able to effect pricing and economic policy throughout the world. The most important thing that an American citizen can do is educate yourself on the history and policy of the Federal Reserve. In subsequent posts I will delve into unintended consequences of Fed policy and discuss the impacts of the legalization of competing currencies. « FOX NEWS/GOOGLE REPUBLICAN DEBACLE RECAP!!!! !